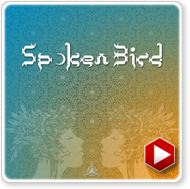 Episode mk087 comes to us from Chillage Records artist Spoken Bird. Comprised mostly of newly released material, we think that you're in for quite the treat! The episode starts out strong and moves easily from song to song, with his signature style of laser infused glitch hop. This mix is set to compliment his most recent release, How Old is the Wind. It contains many of the songs from this release, as well as many other remixes.